A fun and healthy way to enjoy your holidays this season is by getting plenty of fresh air, relaxation and exercise. 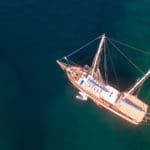 If your holiday plans include a boat charter in Turkey, then one way to make the most of it is the combine a bike trip. Although boat charters may seem costly, they can be quite affordable overall. With such favorable pricing, you can also add a day, or two or more of biking, combining the trip with your private boat holiday itinerary. This of course calls for a bit of custom planning and organizing; but it is quite easily possible. Yes Mediterranean yacht holidays are about relaxing, visiting all these wonderful destinations and exploring interesting places. However you can get more out of sightseeing with a private bike tour as well. All that is required is to select a region, choose a Turkish boat charter, and the rest falls into place. 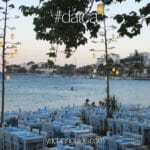 One of the most desirable regions to enjoy a hybrid holiday such as this is the Marmaris and Gulf of Hisaronu. There are so many breathtaking bays, hidden little coves, tall hills filled with lush green pine forests and great trails. 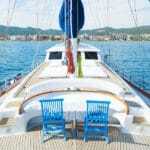 It truly makes for an authentic private bike and gulet cruise vacation with your family and friends. 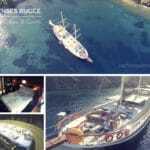 Whether you are a group of 4, 6, 8 or more, there are gulet charters at reasonable prices. The bike guide is a professional and knows the hills and trails quite well. Within your route, places such as ancient cities, fishing villages, nature trails and all around sea views can certainly be expected. Not only are you enjoying the sun and sea, and water sport activities, but also getting a bit of exercise while exploring a very beautiful region of Turkey. The bike trips per person are also quite well priced. All equipment and bikes are included. The best months for bike boat holidays are May, June, first half of July, September and October.